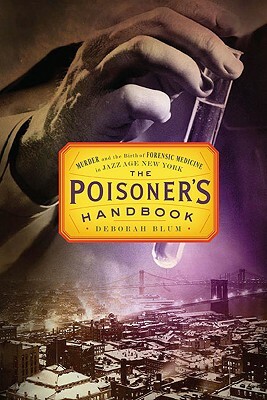 Drama unfolds case by case as the heroes of The Poisoner's Handbook--chief medical examiner Charles Norris and toxicologist Alexander Gettler--investigate a family mysteriously stricken bald, Barnum and Bailey's Famous Blue Man, factory workers with crumbling bones, a diner serving poisoned pies, and many others. Each case presents a deadly new puzzle and Norris and Gettler work with a creativity that rivals that of the most imaginative murderer, creating revolutionary experiments to tease out even the wiliest compounds from human tissue. Yet in the tricky game of toxins, even science can't always be trusted, as proven when one of Gettler's experiments erroneously sets free a suburban housewife later nicknamed "America's Lucretia Borgia" to continue her nefarious work. From the vantage of Norris and Gettler's laboratory in the infamous Bellevue Hospital it becomes clear that killers aren't the only toxic threat to New Yorkers. Modern life has created a kind of poison playground, and danger lurks around every corner. Automobiles choke the city streets with carbon monoxide; potent compounds, such as morphine, can be found on store shelves in products ranging from pesticides to cosmetics. Prohibition incites a chemist's war between bootleggers and government chemists while in Gotham's crowded speakeasies each round of cocktails becomes a game of Russian roulette. Norris and Gettler triumph over seemingly unbeatable odds to become the pioneers of forensic chemistry and the gatekeepers of justice during a remarkably deadly time. A beguiling concoction that is equal parts true crime, twentieth-century history, and science thriller, The Poisoner's Handbook is a page-turning account of a forgotten New York.